The various Dormer family groups that lived, at least in part, in Wing are outlined below. The Dormers were rumoured to have a Catholic priest resident in their household who would have attended to baptisms and marriages within the family, however the baptisms of many of the children were also recorded in the parish registers of All Saints Church. 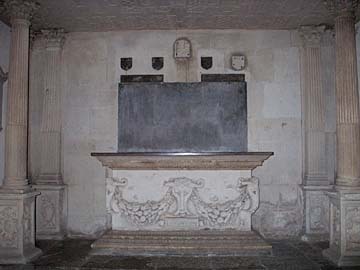 The Dormer family vault lies under the east end of the north aisle of All Saints Church, with the monument to the first Sir Robert Dormer above it. 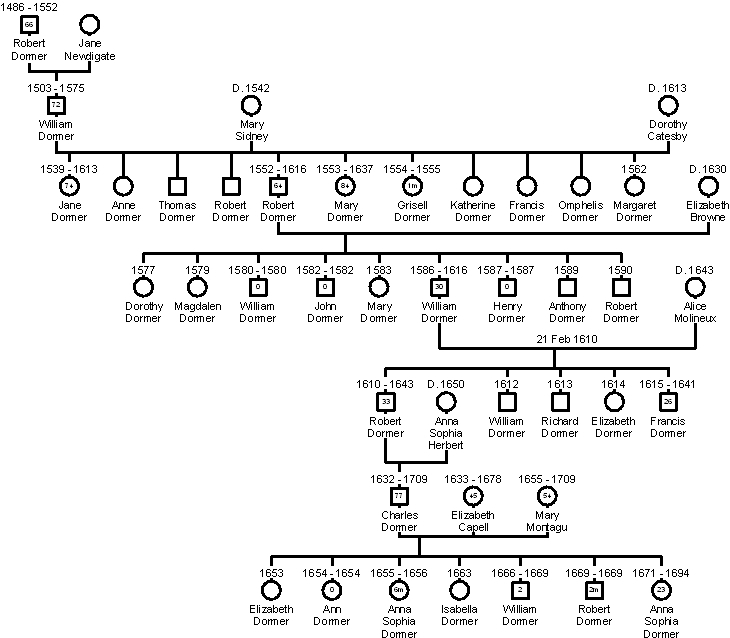 For an overview of the line of succession including the possession of Ascott House after the death of the 2nd Earl of Carnarvon in 1709, the Dormer family’s impact on Wing, and source references used in compiling this family tree, see the Dormer overview page. Dought’ of John Nudigat of Herfeld in ye County of Middx Esq’er and of Amphelyce his Wiff, Daughter & heir of John Nevell in Rolleston in ye Counti of Nottingam Esquir. wch Robt had issue by ye said Jane Sr William Dormer Knight, his sone & Heir. Here lieth Dame Mary Dormer, Daugth of Sr Willm Sidney Knight. 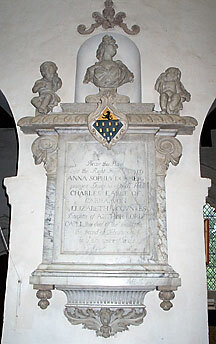 Mary, his first wife, was daughter to Sir William Sidney, Knighte, by whome he had issue two sonnes, which deceased in their infancie; and two daughters, Jane and Anne. 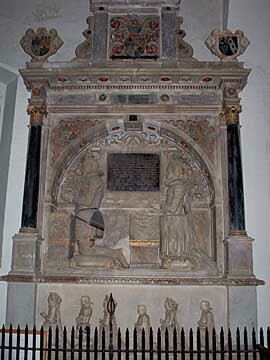 and Anne his second daughter, was married to Sir Walter Hungerford, Knight, sonne and heir to the Lord Hungerford. The said Sir William Dormer deceased the 17th daye of May Anno Dni 1575.
by whom he had issue, one sonne and sixe daughters, viz. Robert, Mary, Grisil, Katherine, Francis, Omphelis, and Margaret. & Dame Elizabeth his wife, daughter of the Lord Viscount Montague, by Magdale Dacres, daughter of ye Lord Dacres of Navworthe, in the Countie of Cumb. 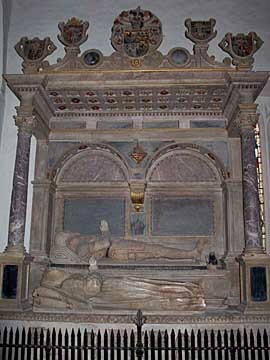 Marie, married to Sr John Carill, Kt sonne & heire of Sr John Carill of Warnham, in ye Countie of Sussex, Kt. Let this svffice thee then in breife to know – She once was svch as thov mayst reade belowe. A MAGDALEN by name, a Saint by grace – Dy’de much bewaylde & buried in this place.